Paradisum is a science-based theme park. At least, that's what everyone thinks. But there seems to be something sinister going on beneath the surface. OceanTech Paradisum is the cutting-edge theme park from OceanTech, and they are hoping to capitalize on the growing trend of education-based vacation destinations. The park's CEO, Adrian Crawford, has spent his entire professional life working toward this goal, and he is excited to show it to the world. Harvey Bennett and his team at the Civilian Special Operations are sent to Paradisum to investigate the security protocols at the new park. But what they find there terrifies them...From USA Today bestselling author Nick Thacker, The Paradise Key is the latest in the groundbreaking and genre-bending Harvey Bennett Thrillers series! *Pick up your copy today and start reading! 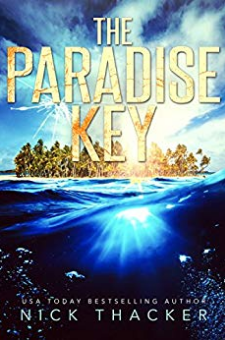 *The Paradise Key is part of a longer series, but was written to be enjoyed as a standalone novel.